Flip through any baby book, and you’ll likely find infant development milestones down to the month or even week. We parents like to know whether our babies are on track, or if we should worry about potential delays. And sometimes we just need guidance on what to encourage our kids to do next. Except not all milestones make the cut, particularly practical, everyday ones we should also be on the look out for. These are the sorts of questions that pop up when you see another baby the same age doing something yours can’t yet. They’re the milestones you ask your mom friends about. You want to see when their kids started doing them, and whether you should encourage yours to do the same. As with all milestones, the key is to use them in a proactive way. Comparisons can get tricky, especially if you pressure your child to do something he’s not capable of just yet. Instead, use milestones as a way to introduce new skills without adding pressure, especially when he takes no interest to it. Remember the mantra: All kids develop differently. That also means that milestones are guides. Even if 99% of kids do something by a certain age, it doesn’t mean yours will, or that anything is wrong because he isn’t doing it. At what age did you do away with high chairs? Tired of the high chair taking up space in the kitchen or dining room? You’re not alone. Plenty of parents wonder what age their kids can be so they can get rid of the high chairs. Typically, you can switch to booster chairs around two-years-old. These can save you a ton of space because you attach it to one of your current dining chairs. Then at around age 3, your child can do away with the booster completely and sit (or kneel) on your regular chairs. Another option is to use a child-sized table and chairs, especially for snacks. Many preschools use these to encourage independence, and you can do the same at home. Your child is free to get up as needed without having to strap in. Get tips on what to do when your baby refuses to eat. At what age can a baby bathe in the regular tub? Your baby has likely gone through several stages of bathing. First was the newborn bathtub, where you placed him on a hammock, careful to avoid wetting the umbilical cord. Then he used the same tub but this time was submerged in water. As he got bigger, he began taking baths in toddler tubs, the kind you place within the regular tub, allowing him more space and the ability to sit up. But now even that’s getting too small. 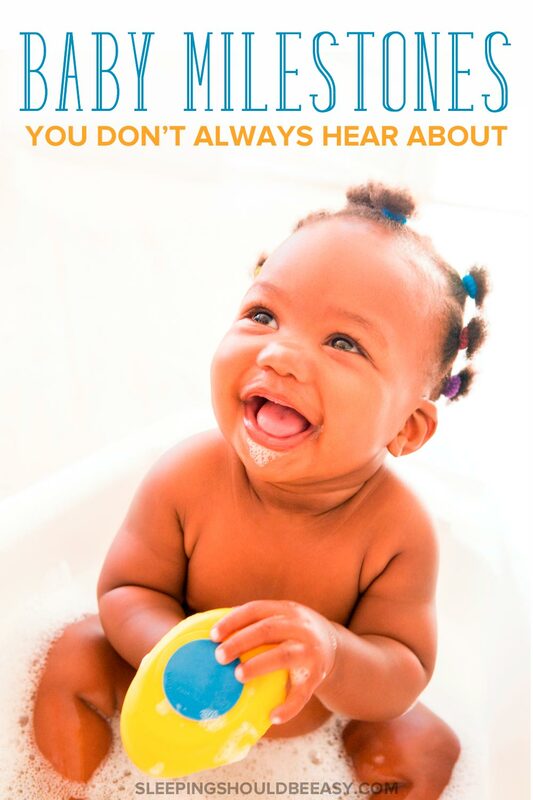 When can your baby bathe in the regular tub? Babies tend to bathe sitting in the tub when they can sit comfortably and confidently on their own. Since this varies by age, there’s no one set age, but typically 8 months is about the time it starts. Your baby should be able to sit without needing you to hold him the entire time. One way to make bathing in the tub easier is to either use a bath mat to reduce slips, or to sit him in an empty plastic laundry hamper. The hamper is more contained, but has holes to allow the water to seep right through. A plastic laundry hamper works, too! At what age can a baby eat with a spoon? I’m not the only parent who grew tired of having to spoon feed her baby! At the same time, I also like to keep my dining room neat, and the idea of a baby with a spoonful of food in his hands didn’t sound enticing. Still, at some point, your baby should learn to feed himself with utensils, starting with a spoon. I recommend offering a pre-loaded spoon around 6-8 months (depending on when you started feeding your baby). Either hand the spoon to him or place it in front of him to grab. Then, around 10-11 months, encourage your child to scoop his own food with the spoon. Start with food that’s thick, like yogurt or mashed bananas. Expect plenty of mess at this stage! 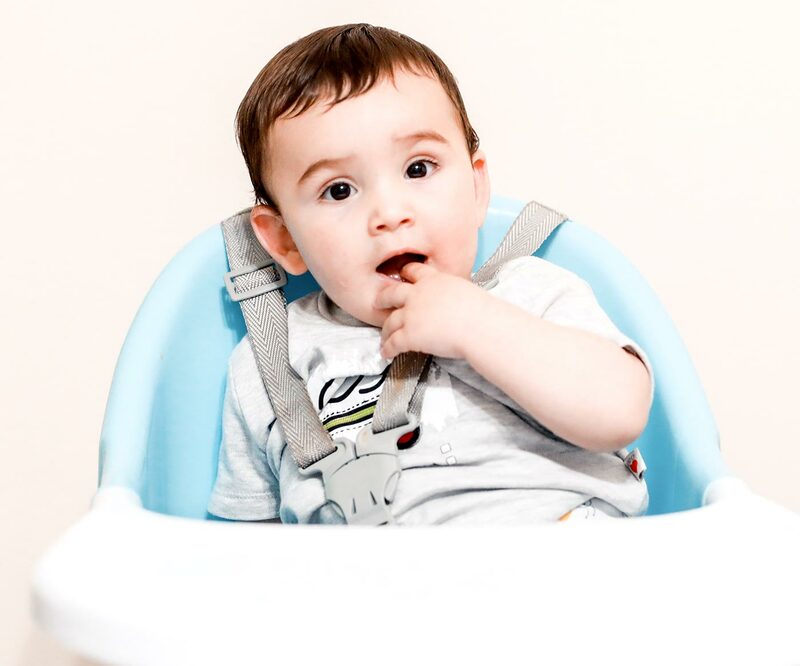 But by 15-19 months, your baby—now toddler—may be able to feed himself independently. For what it’s worth, my kids learned to cut most of their own food—using real silverware—at age 4. At what age can a baby drop to one nap? 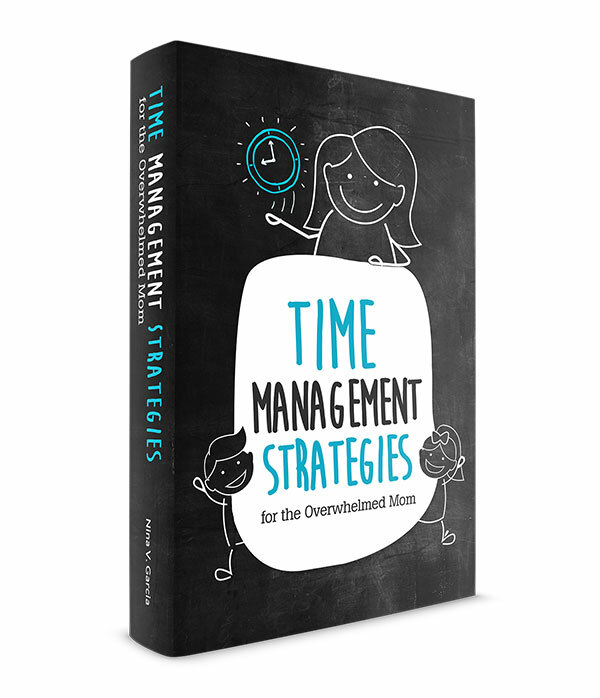 In the early days, it seemed like your entire day centered on getting your baby to sleep. He napped so often that you didn’t even bother counting how many naps he was actually taking. Now that he’s a bit older, he’s dwindled his naps, from multiple times a day, to now just two. Except how do you know it’s time to drop to one nap—that one single nap that could free your mornings and afternoons? 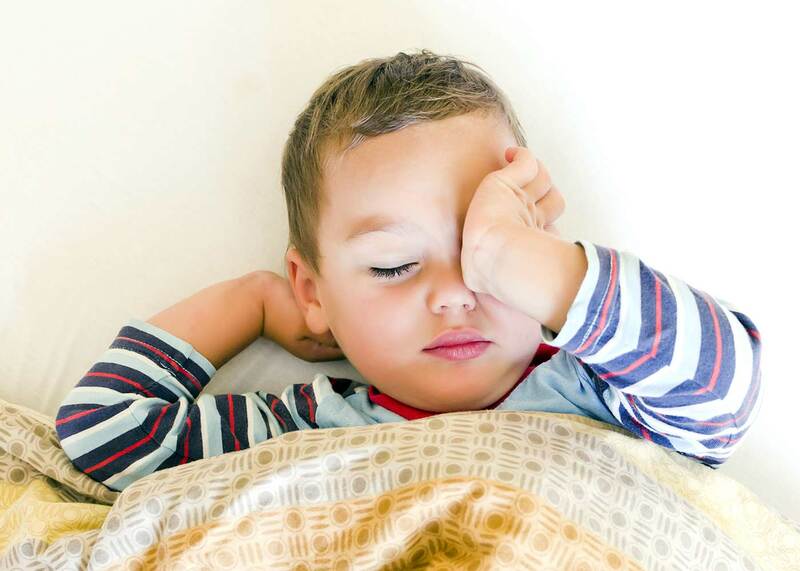 Kids typically drop to one nap around 14-18 months old. Some do so earlier, like if they need to follow daycare schedules. 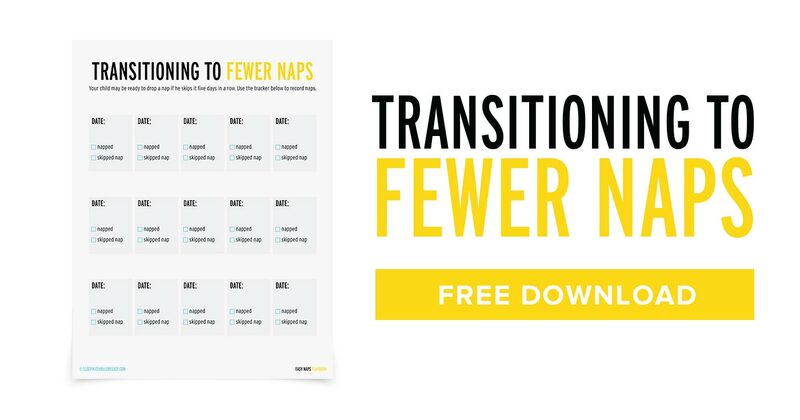 Others hang on to two naps much longer, especially if they don’t clock in enough sleep at night. You likely see babies eating bowls of Cheerios or a graham cracker and wonder when your baby can do the same. Many babies can begin eating finger foods around 7-9 months. Some parents worry that a lack of teeth won’t allow for good chewing, but rest assured that your baby’s gums are strong. If you’re concerned, stick to easy-to-chew food that dissolves easily in the mouth. 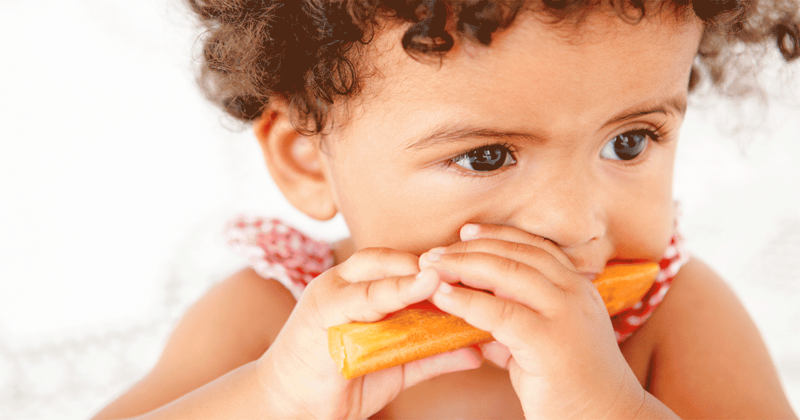 Many babies can begin eating finger foods around 7-9 months. At what age can a baby sleep with a blanket? Blankets aren’t safe for infants, especially if they move around a lot. That’s why it’s usually best to use blankets when your child has transitioned into a toddler bed. If you need to use a blanket, do so when you can monitor your baby, such as during naps. Otherwise, it’s best to keep him well-dressed and layered instead. Think onesie with a thick footed pajama and a sleep sack. Read more about how to transition to a toddler bed. At what age do babies stop wearing onesies? Thinking of stocking up on onesies and wondering what age babies outgrow them? Onesies—and other pieces of clothing—are purely preference. Many clothing brands still make onesie-types of clothes well into the toddler years. Some parents prefer using shirts and pants instead of onesies as early as 6 months, while others continue to use onesies into toddlerhood. I stopped buying onesies after a few months, but we did receive onesies as presents long after, which we still used. They came in especially handy when one of my twins would put his hand in his diaper, something a onesie can prevent. Other parents also prefer onesies if the weather is hot—the onesie provides a complete “outfit” while keeping the baby cool. At what age do babies not need monitors anymore? Wondering how much longer you need to keep checking in on your child with a monitor? Or maybe you’re expecting again and want to use the monitor for the baby. Like onesies, using a monitor is a preference, and depends a lot on your home and level of convenience. Many parents hang onto their monitors, even choosing to get a second one for a new baby, because they want to see what their kids are up to without having to open the door. Anyone who has had a child woken up because of the tiniest creak of the door knows what I’m talking about! Some parents also choose to keep their monitors because of the way their homes are laid out. My home is small, at least small enough to hear crying through the walls. But others might have two-story homes, or sleep so deeply that they don’t wake up, even with a child crying in the next room. Another reason parents hold onto their monitors is that they feel at ease knowing they can be alerted should their kids need them. I’m one of the parents who did away with monitors within the first year, though many parents keep using theirs long into the preschool years. As you can see, babies hit infant development milestones at different ages. Still, it helps to be on the lookout for new skills you could be teaching your baby but wasn’t aware it was possible yet. Other times, you just want to know a good time to do away with an item. And sometimes all it takes is knowing other kids can usually do something to get you to introduce it with your own child. From using a spoon to finger foods, these infant development milestones will help you determine the right stage to try with your baby. Tell me in the comments: Which infant development milestones are you curious about with your baby?